What is a Dutch Oven? - MyGreenTerra - Let your lifestyle heal the planet! 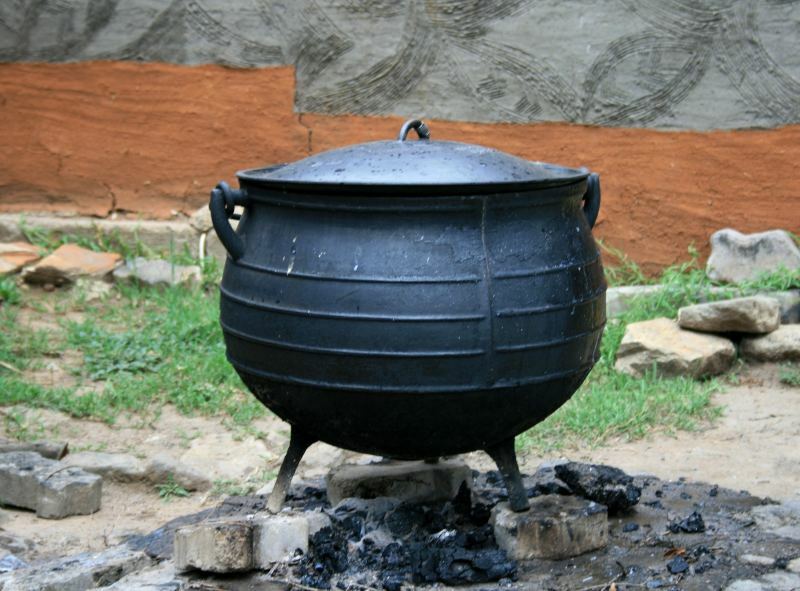 Home » Green Living » What is a Dutch Oven? A Dutch oven is an old school cast iron cooking pot. Modern varieties of the dutch oven are often coated in enamel to protect them from rust. Personally, I prefer the plain cast iron type. The cast iron dutch oven needs to be seasoned (prepared for cooking). It also requires some maintenance to keep it in tip top cooking condition. Use your dutch oven frequently! Its the best way to keep it in good condition and it is an energy efficient way to cook! What Makes The Dutch Oven Great Cookware? The dutch oven has a tight fitting lid that is good for braising among other methods and makes it great for campfire cooking! When using it on a camp fire you can put coals on the lid to get even heating, without ash getting into the food on the inside. You can of course use your dutch oven on a normal stove top too if it does not have the campfire feet! Your dutch oven can withstand high heat! This makes them very versatile. Use them with various cooking styles, from deep frying food to making soups and stews, or even baking bread. Leave your pot on the heat all day and it wont crack or warp! These pots are excellent for slow cooking! Cast iron takes a while to warm up, but once it does, it retains heat very well. It then requires very little energy to keep it at the correct temperature. You can even remove it from the heat towards the end of the cooking time and the food will continue to cook. Using less energy to cook with a dutch oven helps you to start living green and save energy! If you’re interested in getting a dutch oven, you have the choice of getting a traditional cast iron pot or a version that is coated in enamel. A few aspects to consider when buying a dutch oven. Cast iron cookware has a reputation for being difficult to clean (it’s actually quite easy). The pot must be maintained properly to prevent rust. The enamel however can chip and crack, particularly if the pot is dropped. Due to the cast iron construction, the dutch oven is a heavy piece of cookware! This is not a camping pot that you want to include in your backpack for a day hike, or your bug out bag! Their weight also makes them difficult to put on the fire and remove from the fire, so take care with this, especially if the pot is hot! On the plus side, the cast iron construction makes them pretty much indestructible. If you take care of them properly and use them often, the dutch oven will potentially last you a lifetime! There are various designs of this cast iron wonder. The ones designed for camping usually have little legs to raise them off the campfire or handles to hang them above the fire.